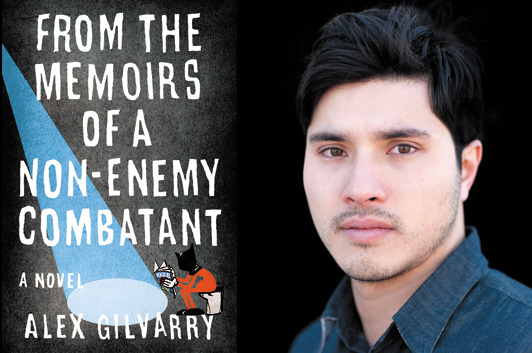 OPEN INVITATION: Tomorrow night (Weds., 5/22) at 8 PM, the writer Alex Gilvarry will be my guest in my craft and theory of fiction class at The New School , NYC, discussing his debut novel FROM THE MEMOIRS OF A NON-ENEMY COMBATANT. My students have read Alex’s novel and will get the chance to ask the author the kinds of questions writers want to ask. In addition to discussing the novel, we’ll ask Alex’s advice on craft and process, his MFA experience, getting an agent, discipline and daily schedules, teaching at Sackett Street Writers’ Workshop, and much more. It’s our last class and I’d like to invite any fans or friends (or even curious readers) of Alex Gilvarry to attend. Please message me through Facebook or email me (joseph.a.salvatore at gmail dot com) if you’d like to join us.